The California Legislature has passed a bill prohibiting sidewalk tolls for cyclists and pedestrians crossing the Golden Gate Bridge. 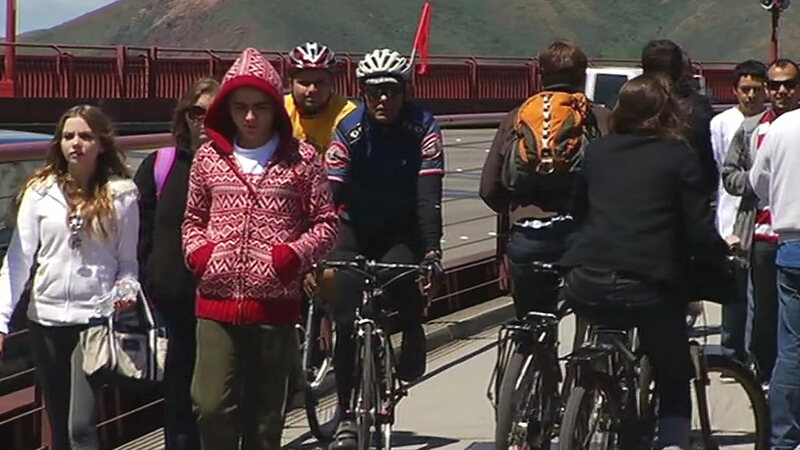 SAN FRANCISCO (KGO) -- The California Legislature has passed a bill prohibiting sidewalk tolls for cyclists and pedestrians crossing the Golden Gate Bridge. It is now pending Gov. Jerry Brown's signature or veto by October 11. The Golden Gate Highway and Transportation District said charging a fee would help eliminate a projected operating deficit the next five years. The bill's author, San Francisco Assm. Phil Ting, says those using healthy transportation alternatives should not be nickeled and dimed.